What happens when new technologies are taken up in the refashioning of time-honored religious disciplines? What is so “traditional” about these disciplines in their revived form, and how are mediating technologies themselves altered in the process? I take up these questions in relation to ‘ilm al-qira’at, a discipline involving the study and application of the Qur’an’s seven variant vocal “readings” (qira’at) which has been resurgent among Islamic scholars in Morocco and elsewhere in the last decade. I begin with an ethnographic survey of the discipline as it is practiced at the state-supported Ma‘had Mohammed VI, highlighting the interconnectedness of vocalization, reading, writing, listening, and memorization within the discipline’s pedagogy. 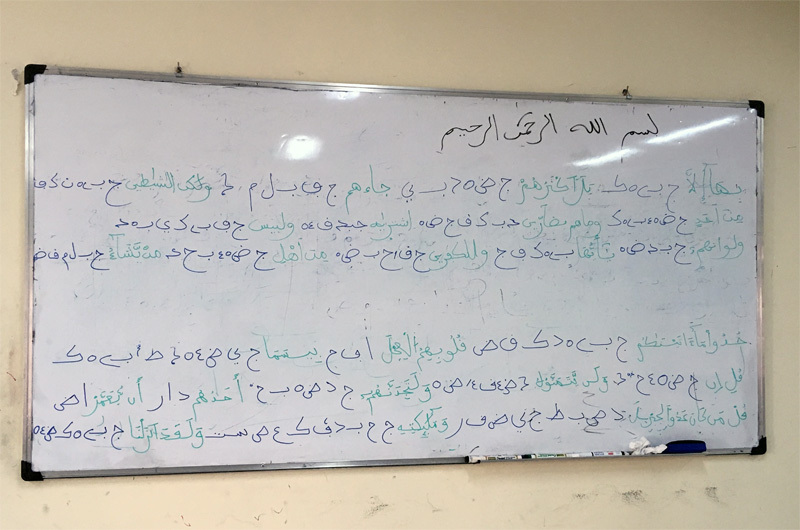 I then move on to an examination of a studio recording project underway at the Madrasat Ibn al-Qadi in Sale, the aim of which is a comprehensive rendering of all seven qira’at as a reference work for current and future students of the qira’at. By highlighting the interplay between mediating technologies and relations of scholarly authority I highlight a striking paradox. On the one hand, the performance of the seven qira’at and the process of studio recording exhibit parallel affinities for vocal precision, repetition, careful listening, and the “arrangement” of sonic variants into a coherent whole that suggests a “natural fit” between ‘ilm al-qira’at and recording technologies. On the other hand, the recording process presents a unique challenge to Islamic scholastics and logic of the textual isnad, for the final recording actually effaces the labor of “tracking,” sound processing, playback and review, editing, and performative correction. I will finish by discussing implications of this paradox for what some Islamic scholars have called Morocco’s “recitational revival” (sahwa tajwidiyya). Date : lundi 28 janvier 2019, 16:00.